Another storm expected to hover over S.W. Colo.
Up to 60 feet of snow fell on either side of the Riverside snow shed after weekend avalanche mitigation work conducted by the Colorado Department of Transportation. 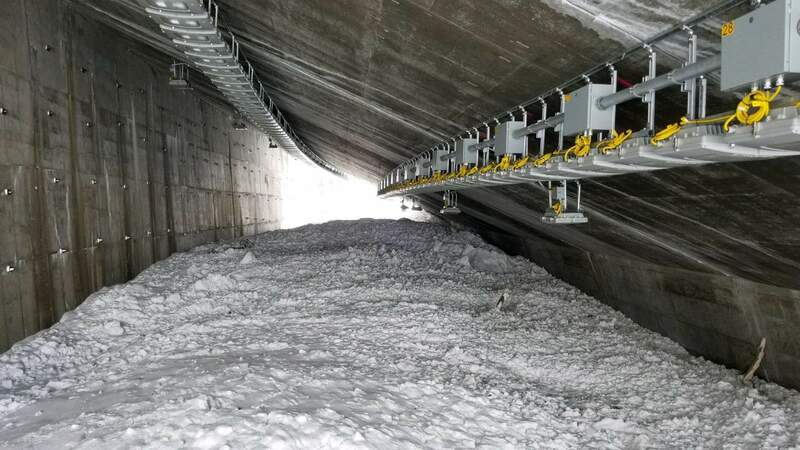 Colorado Department of Transportation spokeswoman Lisa Schwantes said on Saturday morning you could stand on the snow in the Riverside snow shed and touch the lights on the ceiling. The Colorado Department of Transportation has closed Red Mountain Pass indefinitely and equipment from outside Southwest Colorado will brought in to help clear U.S. Highway 550. Red Mountain Pass will remain closed indefinitely as avalanche mitigation work over the weekend brought down more snow than anticipated, and crews will remain working to clear U.S. Highway 550 as long as weather permits. However, another storm is anticipated to move in Sunday night and remain through Wednesday night, bringing snow to the high country and rain to Southwest Colorado’s river valleys, according to the National Weather Service in Grand Junction. “Today’s (Saturday’s) mitigation results are daunting. It will mean a lot of work and hundreds of man hours to clear this road. We will need to acquire more bulldozers and look to other CDOT regions to help us out with equipment and personnel,” said Colorado Department of Transportation Deputy Superintendent of Maintenance John Palmer, who oversaw the operations this weekend. Avalanche control crews performed helicopter operations Saturday morning to address more than 20 avalanche paths on Lizard Head, Red Mountain and Molas passes. Snow and debris from mitigation have hit the road and require the continued and indefinite closure of U.S. Highway 550 on Red Mountain Pass, according to CDOT. CDOT spokeswoman Lisa Schwantes said crews were able to open Lizard Head and Molas passes by midmorning on Saturday. “But Red Mountain Pass will remain closed indefinitely. 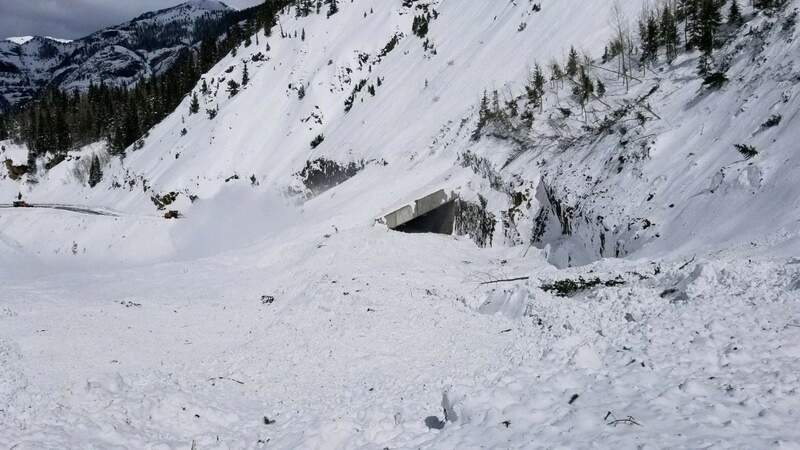 We are unable to put a timeline on when the pass will reopen given the dynamic nature of what is happening this avalanche season,” Schwantes said. Nine of 13 slide paths saw significant amounts of snow hit the highway. The aircrew reported that the half mile of snow and debris deposit, which already existed on the highway from mitigation of the Brooklyns slide path earlier this week, has now doubled. The snowslide is now estimated to be 60 feet deep on the highway. On Sunday morning, the Riverside snow shed on the north end of Red Mountain Pass was filled with 20 feet of snow, Schwantes said. “You could walk through the shed and touch the lights on the ceiling,” she said. 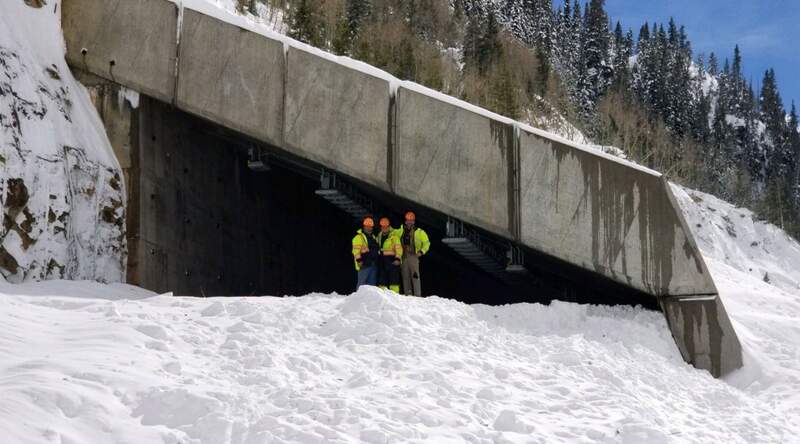 Palmer said the West Riverside slide brought down 40 to 60 feet of new snow over a 300-foot stretch of U.S. Highway 550 around the snow shed. CAIC lists the danger of avalanches in the San Juan Mountains as considerable, a 3 on a 5-point scale. It has also issued a Special Avalanche Advisory for both the south and the north San Juan Mountains. National Weather Service Meteorologist Megan Stackhouse said yet another snow- and rain-producing storm is expected to move into Southwest Colorado from the south late Sunday night – with most of the precipitation falling Monday. The storm is expected to remain over Southwest Colorado through Wednesday with the chance of precipitation at 80 percent Monday and 50 percent on Tuesday and Wednesday. Rain is expected below 7,500 feet, although Stackhouse said Durango could see some snow and rain mixed with snow Monday night, when lows are expected to drop to 31 degrees. Stackhouse said 8 to 16 inches of snow could fall in the high country of the San Juan Mountains during the storm. A winter storm watch is in effect for the southwest San Juan Mountains, including the towns of Hesperus, Silverton and Rico from Monday morning through Tuesday afternoon. A winter storm watch means a potential exists for significant snow, sleet and ice accumulations that could impact travel. Stackhouse said the recent unsettled weather pattern over Southwest Colorado is not unusual for an El Niño year. El Niño conditions, which favor above-average snowfall for Southwest Colorado, are expected to extend through at least early spring, she said. As of March 8, the Colorado SNOTEL Snow Water Equivalent Update Map reported the Animas, Dolores, San Juan and San Miguel river basins were at 138 percent of the 30-year average snowpack.